Great photo on the roof of our project at 819 6th St., NW! 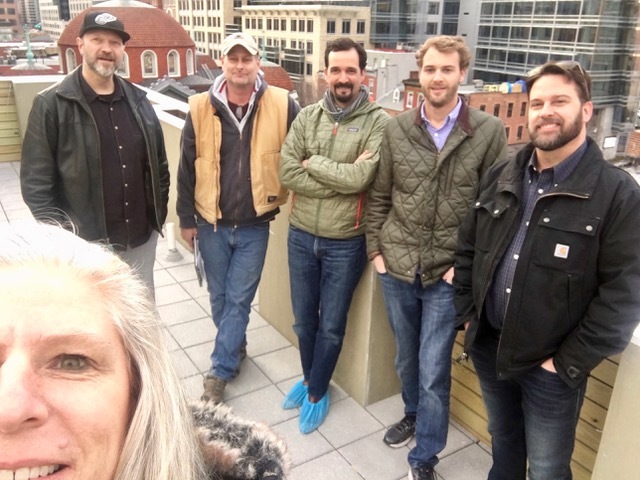 From left to right: Anne Crowley (selfie person) and Michael Hall with Studio CrowleyHall, Mark Smith, Darren Kornas (nice booties, Darren) with our construction team from ThinkMakeBuild, LLC, Jacob Fuch’s representing the Owner (most importantly! ), and Matt Boley with TMB. (Apologies to Nathan from SCH and Jaime from TMB who weren’t present but did most of the work!). We will post you too - don’t worry.